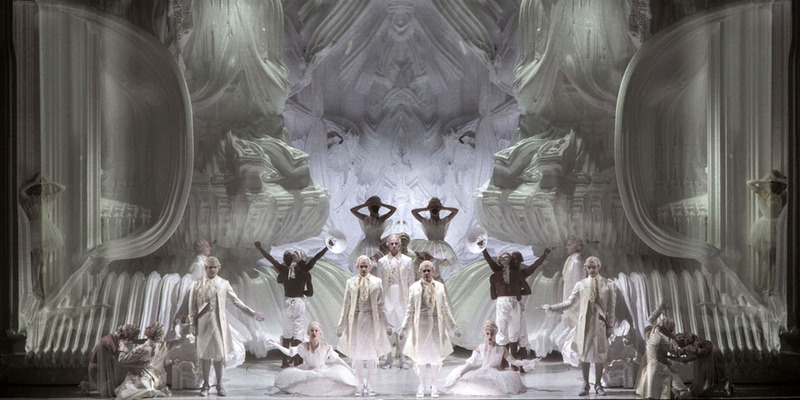 Grotto set design for the Zauberflöte opera, directed by Romeo Castellucci, at La Monnaie opera house in Brussels. A glacial, white grotto - representing Sarastro's palace of light - gradually emerges during the opera's first act. 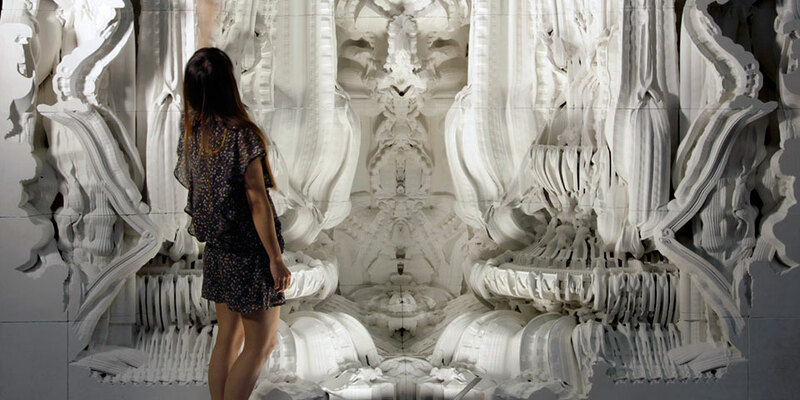 The algorithmically generated structure is composed of nine robotically CNC-milled elements that rotate onto the scene and descend from the ceiling to form a grotto of nearly 10 meters in height. Starting with Gottfried Sempers Bekleidungstheorie (principle of clothing), this project uses computation to produce an intricate ornamental envelope. 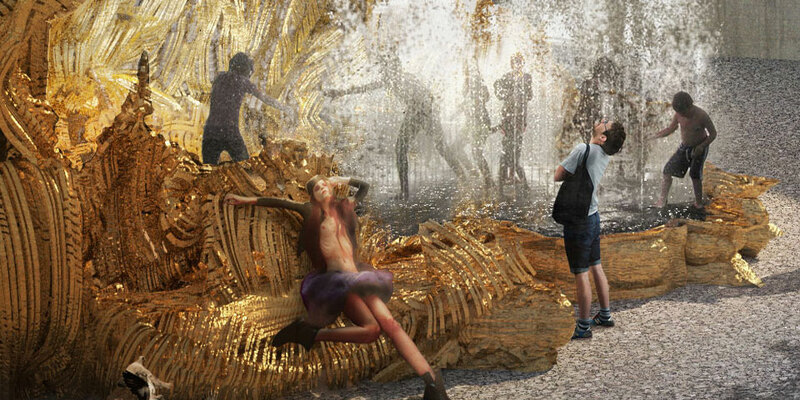 The resulting lace cloth - overlayed onto a simple metal structure - constitutes a rich and vibrant space, with a lively flux of light and shadows. 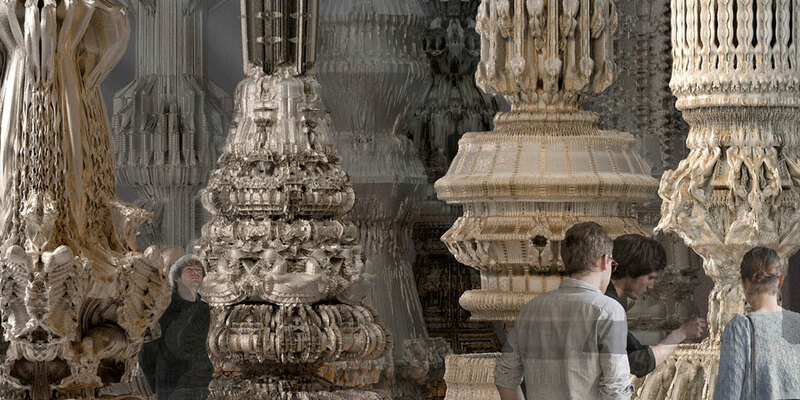 Digital Grotesque II is fantastically ornamental grotto out of seven tons of sandstonethat shows how computation and fabrication technology can make new architectural worlds tangible. 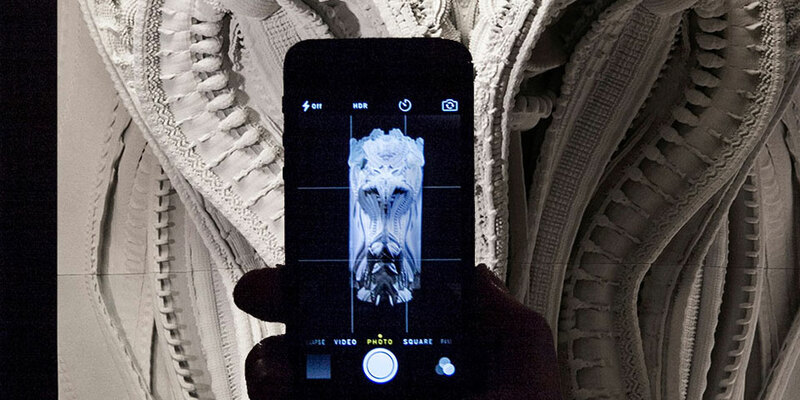 Digital Grotesque II is a commission by Centre Pompidou, and has premiered in Paris at the Imprimer le monde exhibition. In the pavilion a forest arises - a romantic landscape - composed of freely moving columns, grouped into ephemeral configurations of an ornamental wilderness. Freed from historical models, a space opens that disorients the visitors through a new sensory experience. 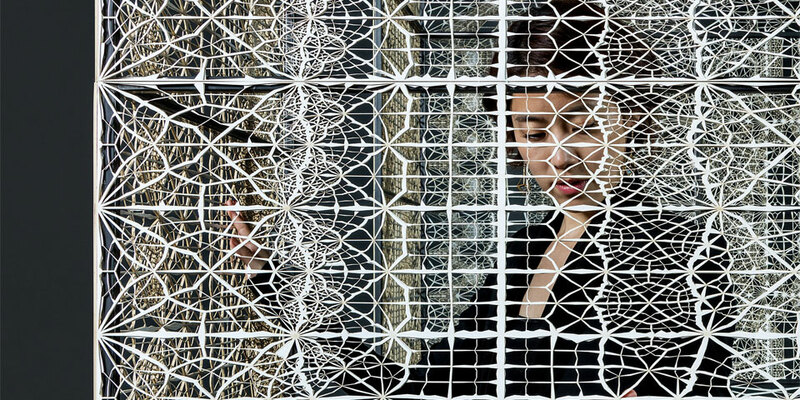 Arabesque Wall is a massive 3D printed wall with ornamental details at the scale of millimeters. It plays with the aniconic, geometric tradition of arabesque ornaments by creating intricate constellations that are at once figurative and abstract. Just as with arabesque ornaments, the compositional principles of the Arabesque Wall are based on an iterative tiling and division of surfaces. Where does nature end and the artifical begin? As visitors wanders through the lush nautre of Inhotim. 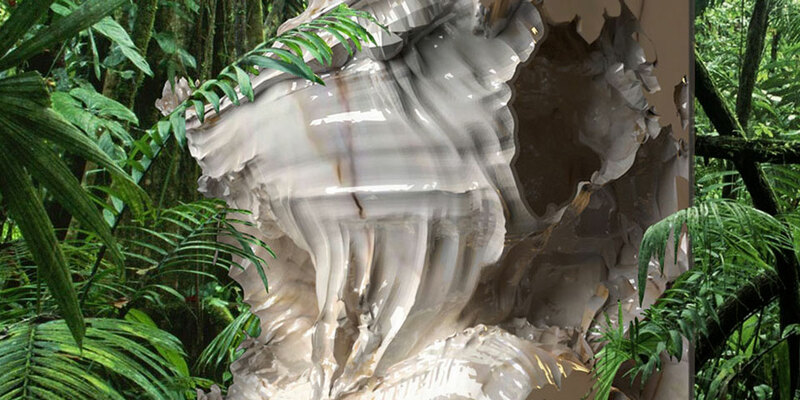 they face an unexpected encounter: a marble monolith, several meters high, firmly planted amidst the flora. Something is amiss. The monolith appears neither to be part of the environment, nor to be detached from it. Natural metamorphosis is reversed to a produce an uncanny artefact: a second nature. Architecture should surprise, excite, and irritate. Pheonomena is an experimental folly that addresses not only the mind, but all the senses - viscerally. Phenomena evokes curiosity and encourages visitors to interact with it: to touch it, dive into it, get lost in it and ultimately to become part of it. Fine-grained corns of sand printed at a resolution of 0.13mm allow the creation of a yet unseen architecture. The 16 square meter room is composed uniquely through algorithms. The first 2.7-meter prototype is constructed as a layered model of 1mm cardboard sheet. 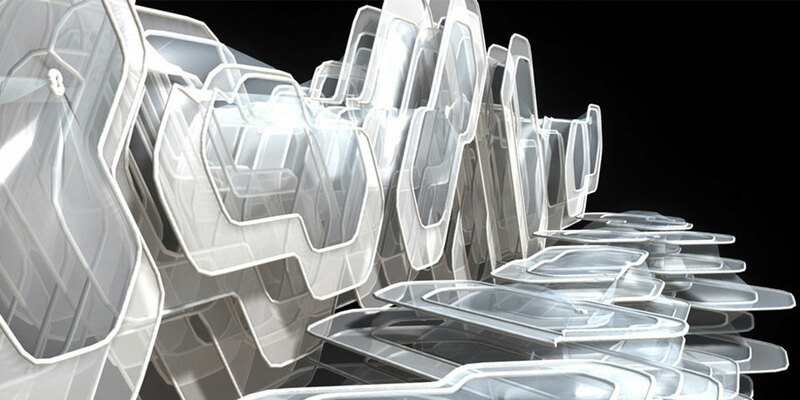 Further columns of milled 1mm ABS plastic layers were exhibited at the 2011 Gwangju Design Biennale. How can a purely operations-based geometric process can generate complex form? 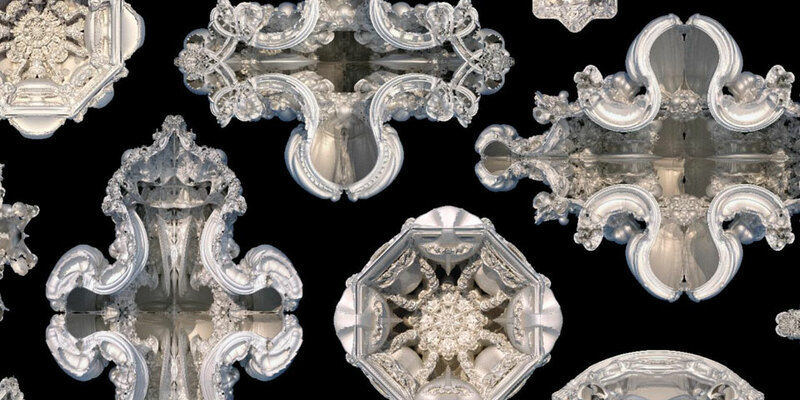 This project begins with the most primitive forms, the platonic solids, and repeatedly employs a single operation – the division of a form’s faces into smaller faces – until forms of an astounding complexity are produced. In the late 1960's, the biologist Aristid Lindenmayer proposed a string-rewriting algorithm that can model the morphology of simplified plants and other organisms with an astounding ease. This theory is now known as L-Systems. This project considers how this algorithm can open up possibilities in the field of architecture. 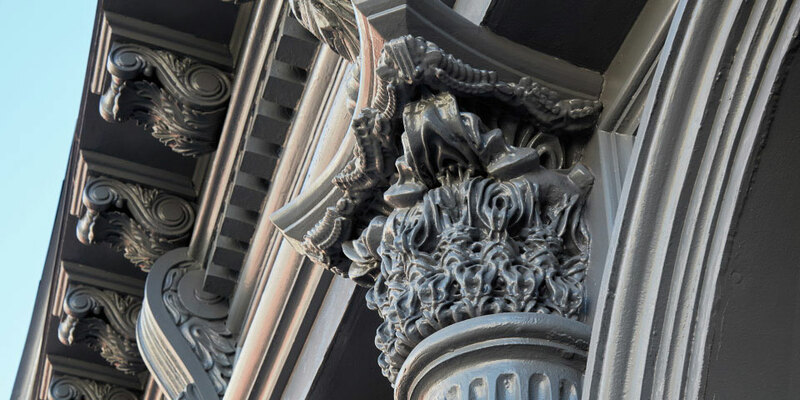 The renovation of a cast-iron building in Tribeca, NY offered the opportunity to reinterpret and rstore the column capitals of its facade. 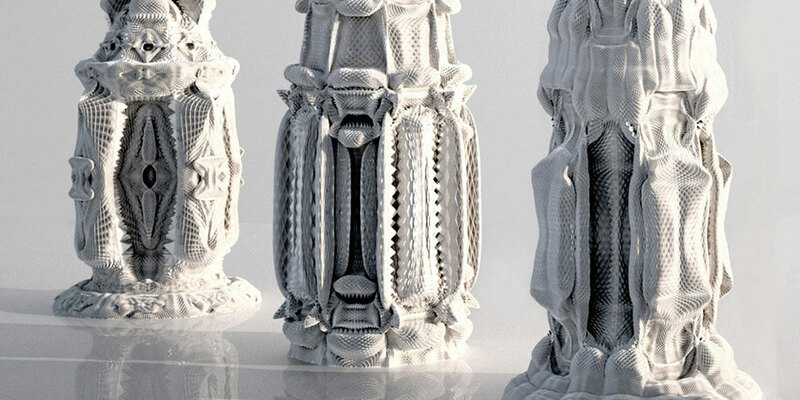 Generative design algorithms allow us to use the remaining information about the form of the capitals - their proportions and key features – as a point of departure for a new capital design. A procedural approach called mesh grammars is used to produce a collection of cupolas and domes. 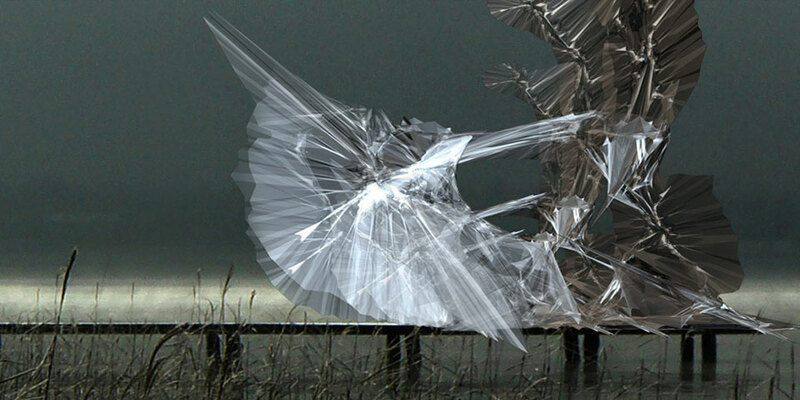 The resulting forms - beyond the logic of a minimal surface, beyond any biomimicry - could neither be drawn by traditional methods, nor could they be derived through formulas. IThey are uniquely conceivable through recursive algorithmic simulation. 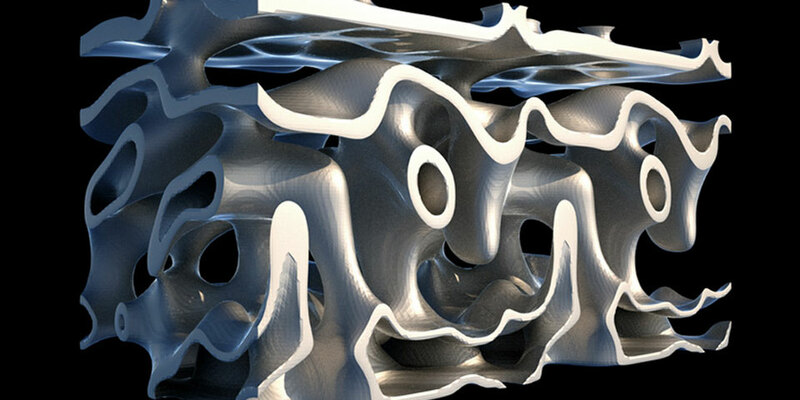 This project continues the exploration of a procedural approach to generating architectural form. Rather than work with surfaces as in the subdivision experiments, this project uses volumetric cells - voxels - as its basic geometry. Two broad algorithms to control the interaction between voxels are explored: cellular automata similar to the game of life, and reaction-diffusion processes. 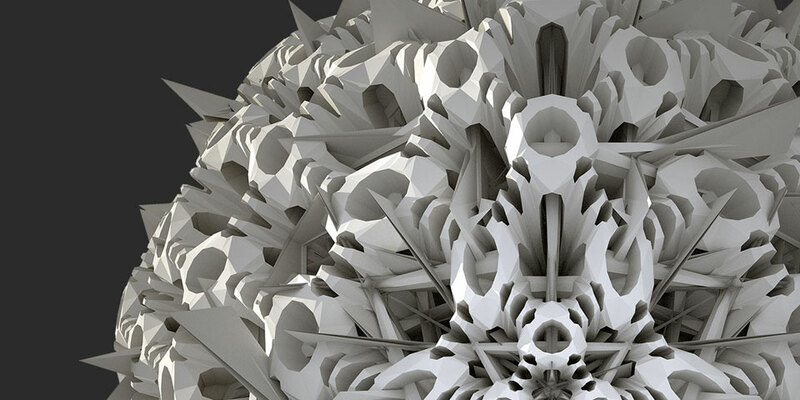 In recent years, much of the discussion in the field of algorithmic architecture and generative design has focused on agent-based models and what is more generally termed as complex systems. While there is no doubt that complex systems can produce intriguing results, the aim of this project is to the simplest of process to generate heterogenous, complex output.